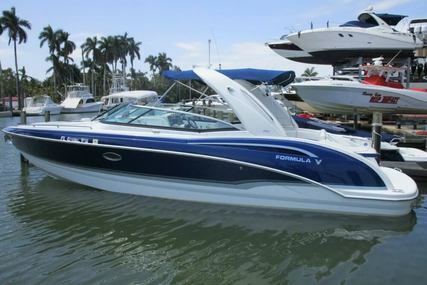 Formula is a brand of fine-tuned pleasure boats produced in the United States and sold around the world. Formula was originally a company founded by Don Aronow in 1962 in Miami, Florida and is now owned and operated by Thunderbird Products. 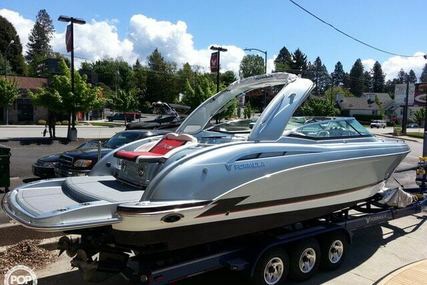 Formula is based in Decatur, Indiana and currently manufactures more than 25 boat models. Formula boats are known for their racing heritage, and it won the American Power Boat Association World Championships in 2000 and 2003. In 2006, Formula's Unlimited Hydroplane took first place in the ABRA National High Points. Boats such as the Sun Sports and Super Sports helped Formula gain company-wide excellence and establish themselves as prestigious manufacturers. Formula is the result of American craftsmanship that integrates all the features you like best in a smart, versatile design that’s as practical as it is beautiful. Once you choose Formula, the world’s premier powerboat manufacturer, you’re in for the best boating of your life with style and class. It’s time to board your own Formula dreamboat, sit back and entertain yourself in an outing with family and friends. So, select from the many Formula boats listed for sale at www.rightboat.com and step aboard to spend awesome time away from all hustle bustle and destress yourself. 1. Who founded Formula and when was it founded? Formula was founded by Donald Aronow in the year 1962. 2. Where is the Headquarters of Formula located? The Formula headquarters is in Decatur, Indiana, U.S.A.
3. What is the name of the parent company of Formula? The name of the parent company of Formula is Thunderbird Products. 4. What are the special features of the Formula Bowrider range? Formula Bowriders are where brilliance meets elegance and excellence meets reliability. Formula Bowrider series is created to meet your needs and amplify your fun and relaxation on the water. The Bowriders available in 6 variants are fully customisable. The Bowrider range has 6 models. 5. What are the special features of Formula Crossover Bowrider range? The Crossover Bowrider features day-into-night cabins and is designed to meet the needs of all those who are looking for a large, luxurious bowrider with pleasant overnight capabilities. There are 2 models in the Crossover Bowrider range. 6. What are the special features of Formula Sun Sport range? The Sun Sport line is both versatile and practical; it takes you to the waters in style and class. The differing feature in Sun Sport is that instead of a front open bow area, it features a cabin below deck which is often more popular with those who like to sleep overnight in their boats. There are 3 models in the Sun Sport range. 7. What are the special features of Formula FX Series range? The FX model allows you to power into deeper waters and sport your style with its superior design that includes an upgraded interior and higher-powered engines than the Sun Sport and Super Sport. The Formula FX line includes various options in both cabin and bowrider configurations for advanced water sporting style. There are 8 models in the FX Series range. 8. What are the special features of Formula Super Sport range? The Formula Super Sport models are true luxury powerboats designed for sailing everywhere and are as practical as they are beautiful. They provide a more slender beam compared to other bigger boats. There are 2 models in the Super Sport range. 9. What are the special features of Formula Performance Cruiser range? The Performance cruiser line has been designed with top-quality materials and leave an unforgettable enduring impression. The performance cruiser models provide more room and benefits in the cabin below deck by sacrificing some space in the cockpit. There are 4 models in the Performance Cruiser range. 10. What are the special features of Formula Power Yacht range? The 45 is Formula’s premier power yacht. It’s fully customisable to reflect the owner’s needs and boasts state-of-the-art construction, unrivaled workmanship, grand amenities, and finest materials in every detail. The Formula 45 Yacht stands out due to the coupe-like top design that features a motorized sunroof offering unparalleled views. There is 1 model in the Power Yacht range. 11. What are the special features of Formula FAS3Tech range? The FAS3Tech models provide boaters with exhilarating offshore racing performance with speeds beyond 80 mph ensuring excitement in life and on water. It is an eye-catching design that’s sleek, muscular and breathtaking, a reflection of the Formula offshore racing heritage. There is 1 model in the FAS3Tech range. 12. What are the special features of Formula Super Sport Crossover range? The Super Sport Crossover is the best of all worlds with the aim of combining the Super Sport line-up and Crossover Bowrider with outboard motors. It’s everything you could possibly want in a luxury crossover sport boat on which boaters can now venture beyond narrowly defined conventions and enjoy all that boating was meant to be. There are 2 models in the Super Sport Crossover range. 13. What are the special features of Formula All Sport Crossover range? The All Sport Crossover comes with an unprecedented fusion of dayboat versatility, overnight capabilities and sporting accommodations. Boaters can truly have the best of all worlds, where playing hard no longer means hard work or compromise for anyone aboard. It is perfect for entertaining, fun, exhilaration as well as fishability because it is well-equipped for catching, storing and preparing whatever you catch during your time on the water. There is 1 model in the All Sport Crossover range.